Date posted: November 25, 2015 by: JasonDarkX2 Category: Gaming Reviews 2 comments. I don’t want to set the world on fire, I just start a flame in your heart is what comes to mind when you got the power of fire. 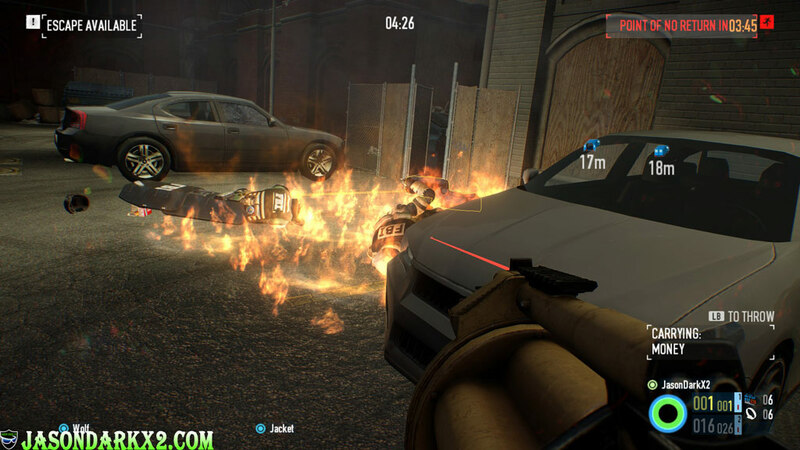 Well Payday 2 Butcher BBQ weapon Pack brings those fiery desires to the wonderful world of Payday 2.but is it still worth getting? Released back in March 15, 2015 for $5.49cdn but after the so many recent updates to the game mainly with update 79 weapons balancing and introduction of weapon skins. 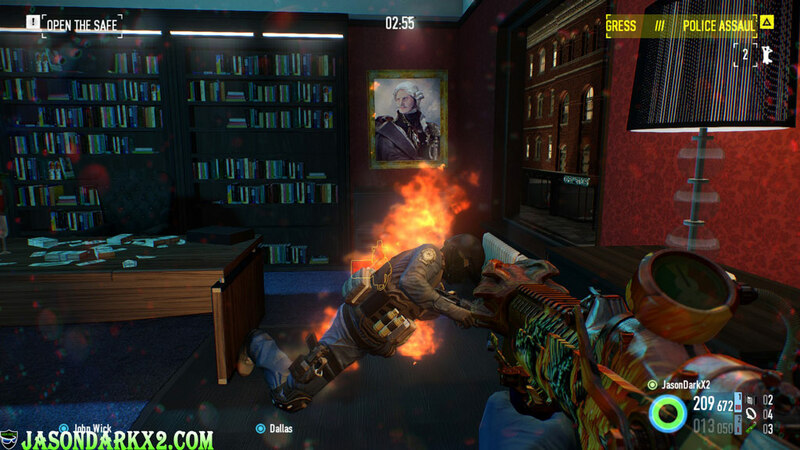 If there’s still a fire in your hearts for payday 2, consideration of this DLC is might still worth the grab. Diving in deeper, you’ll soon realize that if not all the weapons from this require a 43-50+ rep and some cash in order to be able to use them. Therefore, if you’ve just started out playing Payday 2 I’ll recommend going infamy one or twice before you’ll have a chance to touch these weapons. Cause going infamy you’re only left with a Spatula, the motherforker melee weapons and a Molotov grenade from the BBQ Pack. Unless stealthing bank or jewellery store with a Spatula and some Molotov is your gig after going infamous by all means it’s worth a try, nothing more entertaining than beating someone with a Spatula, with animations that looks like the use of a fly swatter that makes a splat sound when hitting fleshy enemies, ding anywhere else. If you’re looking something that resembles a breaching hammer, the Tenderizer is your go to outputting 90 points max damage when charged, while not as great as Jiro’s Shinsakuto Katana. While BBQ themed melee may look nice, they are forgettable and not useful in most heist situations overkill and/or above. The star of the BBQ Pack is the Steakout 12G primary shotguns modeled after the iconic AA-12, it’s no doubt the best looking shotgun in the game in my opinions, and the most versatile shotgun too. With its fast fire rate, fast reload, stability, and good hip fire accuracy, making it the best choice for close quarter combat and anyone running an Enforcer build with armor. But something this good comes at the cost of low concealment, low damage, small ammo pool size, eating up ammo really fast especially with custom ammo type equipped. The Steakout 12G works best with the Dragon’s Breath Rounds for single handily clearing a room. Next off the rising star, the Piglet grenade launcher packing a 1 shot anything in its blast radius except Dozers the next best thing after the RPG but beware it has friendly fire and self-damaging. With a slow reload speed, keeping players from mindlessly spamming it. The Piglet when equipped with incendiary grenades severely decreases its damage, but outputs fire, fire that can be used to a defensive situation burning enemies in its path. Like covering the objective area with fire making it easier to defend from cops. But overall the Piglet is best used for crowd control like the Steakout but be sure to equip a laser sight to the piglet cause the iron sight since it is terrible. Lastly is the iconic Flamethrower, the reason you would the BBQ pack lol not really. 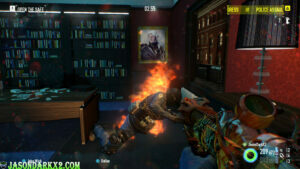 The Flamethrower is the second weakest weapon in the game. But it deals after burn damage, killing anyone or making them fail around to fire expires if they are high level or special classed enemies. If you spray enough fire, they will die eventually. 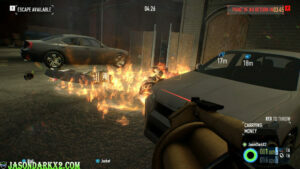 Magazine mod for flame thrower allows you to choose between more ammo or more damage. Either way the concealment for Flamethrower is terrible so don't expect to able to run a dodge build with it. It should be noted that the Flamethrower takes a long time to reload so taking cover is still required. But at least with the recent updates you can pick up ammo opposed to having to resort to ammo bags only and there are weapons skins with stat boosts for the Flamethrower now, as a way to screw you over for not buying this DLC pack if you managed to get one in the safes. 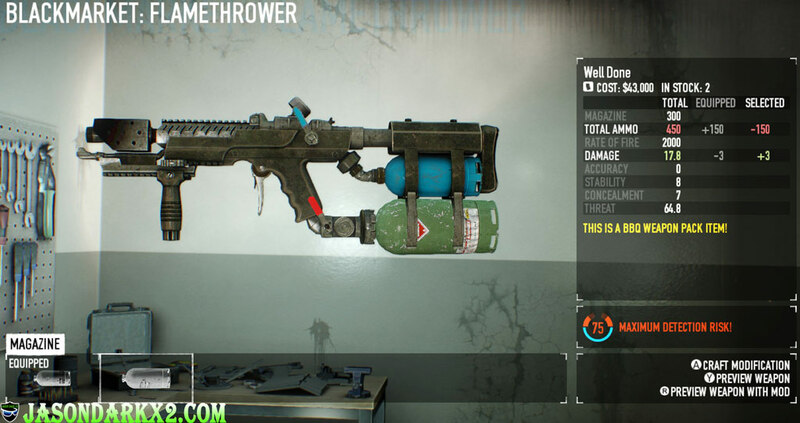 Overall the Flamethrower has a sleek design; though don’t expect to survive with it on Deathwish. But if you want to spray fire and sing Burn, Baby, Burn… well, it’s got the job done in style if you get my flow. 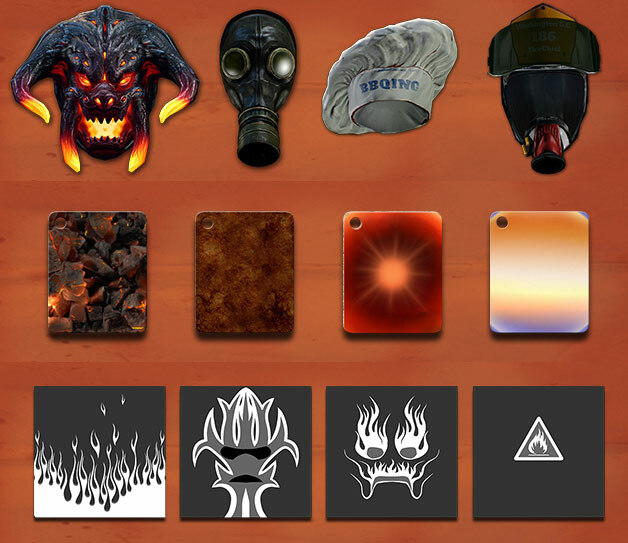 The BBQ Packs quite some impressive masks and materials along with Ok patterns that are geared mainly towards those who like playing with fire, especially with Firefighter Helmet, and the Gas mask which are my personal favourites from this pack simply because they look good even unpersonalized, go Pyro or metro like with the gas mask or get creative and use the chef hat for some good roasting. Burn material makes the best red masks with the right combo, use the Toast material if you want to look like bread. A flamer pattern looks the best with masks with flat surfaces. Overall BBQ pack masks set it pretty impressive on its own. Like previous DLC packs Masks, materials, and patterns are reusable, unlocked through achievements. 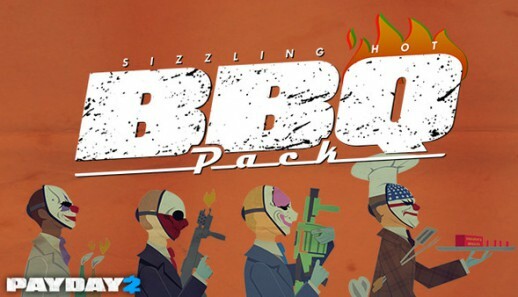 Overall the Payday 2 Butcher BBQ pack is a good quality Weapon which brings unique fire weapons to the game, offering an impressive primary weapons design and masks to Payday 2 that expands the experience of the game, along with melee weapons that looks good, but once again to be forgotten. Though I’d recommend getting this pack if you have been playing Payday 2 for a while or as your third choice if you have to choose between a character pack or another weapon pack. It adds AA-12(steak out 12G) shotgun. The Piglet is a good Grenade launcher. 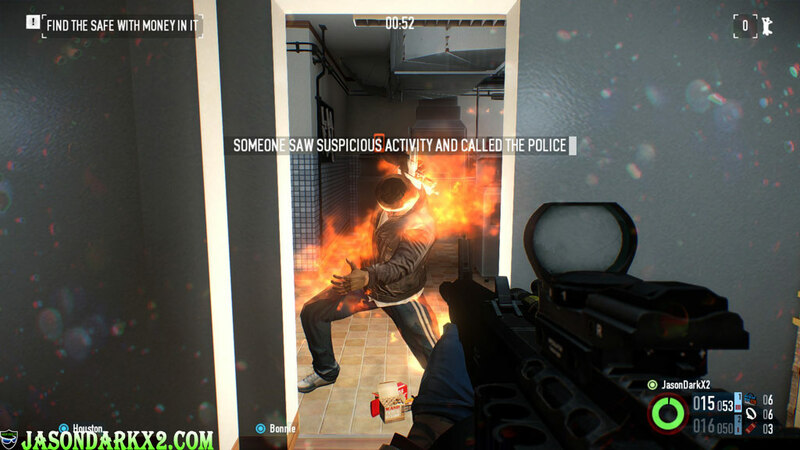 Molotov for the extra burning sensation. Impressive masks set, and materials. It’s a unique set of weapons. The Piglet iron sight not so great. Not noob friendly or just gone infamy with rep <60. Don’t expect to use right away if you’re in these situations. This is a must have even if you hate the MT in game.